The Academy’s facilities in the web design studio are designed to prepare you for a career in the web design and new media industry. Our hands-on learning environment creates a culture that supports curiosity, investigation, and production. Online students are also hands-on, as they engage in discussions and activities through the online platform, social media, and real-time streaming of our events. Both online and onsite studio environments are equipped to give you the skills you need to for an amazing web design and new media career. Students experience the latest virtual technologies in advanced studio courses which explore dynamic interaction in emerging platforms. Using the latest offerings from Oculus, HTC, Sony, Microsoft, or a future device, Web Design & New Media is dedicated to supporting, investigating, and producing work for this exciting format. Our advanced level classes help students create the Internet-enabled products and experiences of the future. Micro-controllers such as the Arduino are explored to extend the capabilities of web technology far beyond a simple site. Depth-based Input devices such as Microsoft Kinect and Leap Motion are explored in addition to touch paradigms, simple sensors, and control mechanisms. Web Design & New Media boasts a high-end motion graphics lab with network-rendering Mac Pro computers capable of producing broadcast-quality motion graphics and animation. 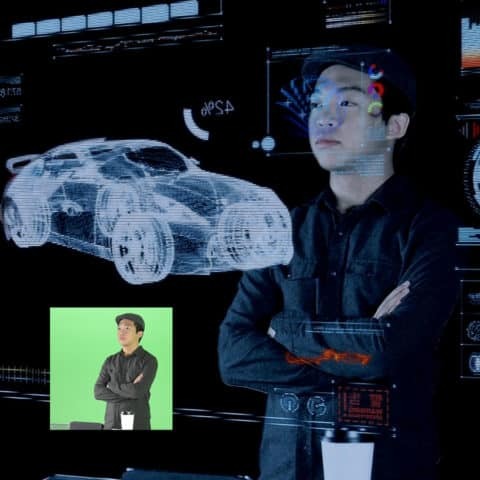 This enables students to render product mockups, proof-of-concept videos, and advanced motion graphics at lightning-fast speed. Web Design & New Media students enjoy the use of classrooms furnished with iMac work stations stocked with the industry-standard software tools necessary to create stunning design. During their time with the Academy, students learn a full suite of software and programming technologies, allowing them to create the highest quality portfolio projects.